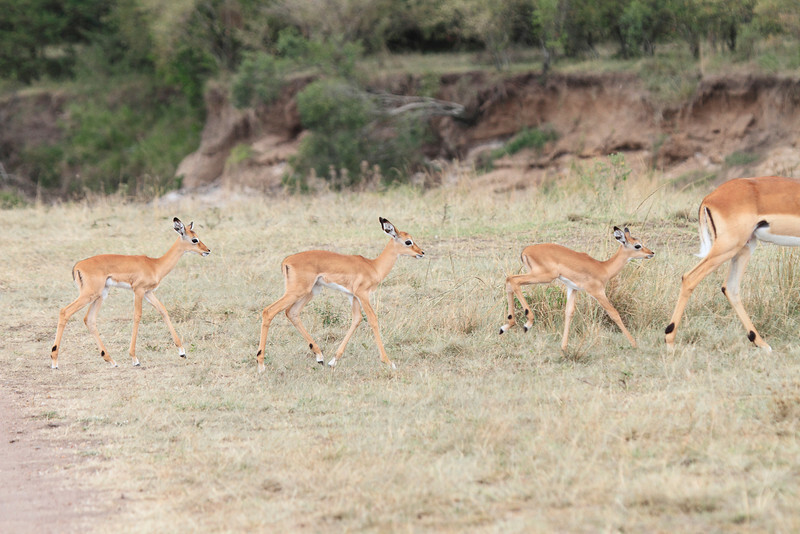 Various species of Antelopes. Sometimes we call them lunch. But the jousting Topi and Impala are fun. Perhaps not for the males that lose; but still fun to look at.